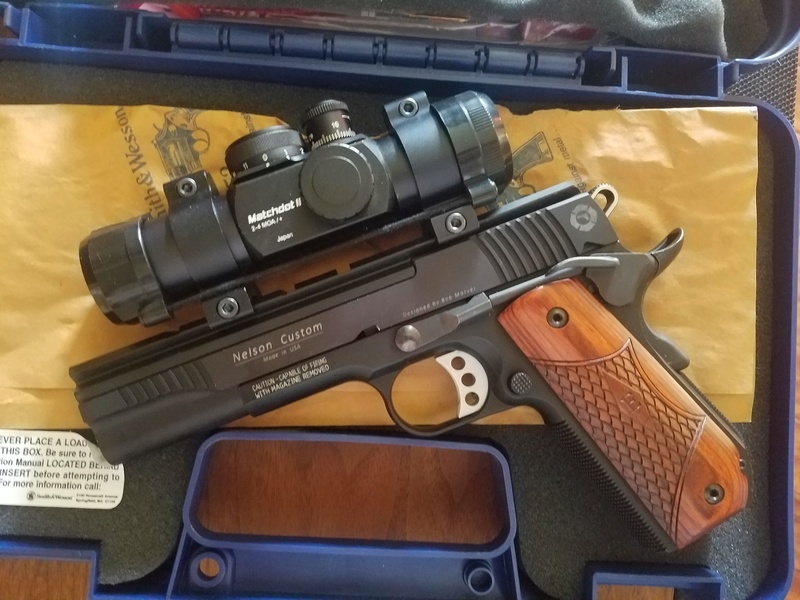 I have the option to use a SW1911sc frame for my nelson. Is this frame a series 80? If so, how can it be converted to series 70? Also would like to know if anyone had this set up with a kc roll trigger and how it works? I'm not familiar with how S&W does their series 80 but if it is then on the bottom of the slide there should be a firing pin block. A spring loaded plunger. In the frame their will be a way to index it. Colts work by pulling the trigger and Kimbers work based off the grip safety. I'm not familiar with S&W. But what ever it is you should be able to replace that part with a filler part either from Brownells or MidwayUSA. Look up the schematic and pics of colts, limbers, and S&W for comparison. I use a SW1911SC for my lower. Technically they are neither series 70 or 80. They use a grip safety much like the Kimber to do the Series 80 function. All the series 70 parts will work fine. I set my trigger to just under 3 lbs. How do you like your set up? I wish I knew. I set it all up and had a bit of a medical problem. One quadruple bypass later and I spend my time loading ammo. I will be able to get out and shoot it again in a couple of weeks. All I have done is test ammo in it so far. I have shot the lower a lot when it was a 45. I suspect it is going to work great. You can tune the sear spring by bending it and that is how you can make significant changes to your trigger in weight. Maintain at LEAST a pound if not more on the trigger/disconnector leg. You may find you need to adjust both legs (sear leg and disconnector leg). You'll need a trigger pull scale. I was told the bending point should be at or above the top of the mainspring housing. Plenty of articles on adjusting the sear spring. Do a lot of reading first. If any of the above information is wrong please correct me guys. I'm not a professional gunsmith. Easy answer. If your buying the kit from KC then ask him to adjust a sear spring for you. That's what I would do. So, what did you do to make them similar? Did you just drop in the triggers and call it good? KBarth wrote: So, what did you do to make them similar? Did you just drop in the triggers and call it good? Don, do you mean you have a 3.5 lb. min trigger pull on the Nelson as well? After testing my nelson today, the slide ran slow and it did not like to pick up the next round in the magazine. I assume changing the recoil spring and mainspring will fix this issue? 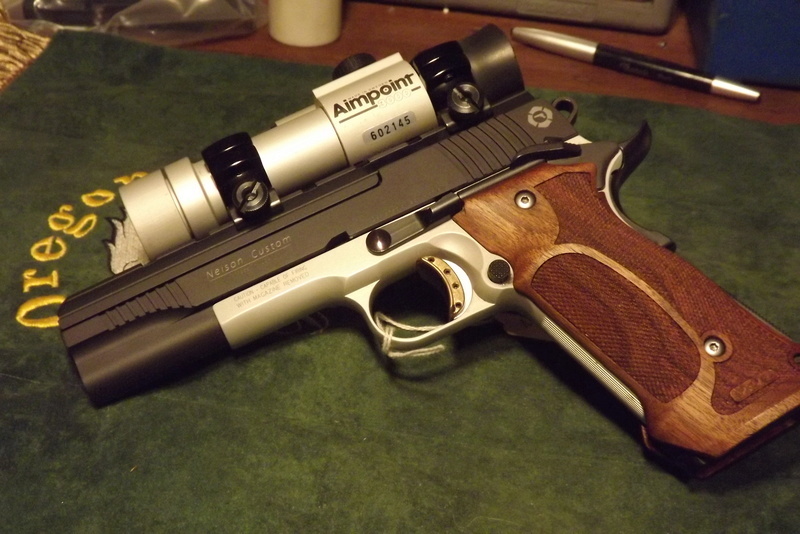 LenV wrote: I use a SW1911SC for my lower. Technically they are neither series 70 or 80. They use a grip safety much like the Kimber to do the Series 80 function. All the series 70 parts will work fine. I set my trigger to just under 3 lbs. Does this function disable the trigger pull? If so, how do I get around it? It does not do anything to the trigger. If you had your S&W upper on then the hammer accidently falling would not discharge the firearm unless grip safety also depressed. Does not effect the Nelson in any way. Okay, do you happen to know the weight of the mainspring on the frame of these pistols? Sorry Kbarth not a clue. I think I am on my 3rd mainspring housing on this pistol. I know I have an 18lb spring in it now. I have a pile of mainsprings to play with. Len PS. When I said I would have KC adjust a mainspring for me I meant sear spring. It was a long day. LenV wrote: Sorry Kbarth not a clue. I think I am on my 3rd mainspring housing on this pistol. I know I have an 18lb spring in it now. I have a pile of mainsprings to play with. I just looked in my safe to get your answer. I figured out what pistol is wearing the original mainspring housing from the S&W and what I have on the S&W now. I can give you those answers but I don't think it would help. I just looked at the picture of your Smith and you have a different model. My pistol uses a standard 1911 mainspring and yours is rounded. I have never had to look for a spring to fit that housing.